This weekend a friend of mine told me about a new challenge she was going to conquer. I invited myself to the challenge and wanted to let you all know about it as well. 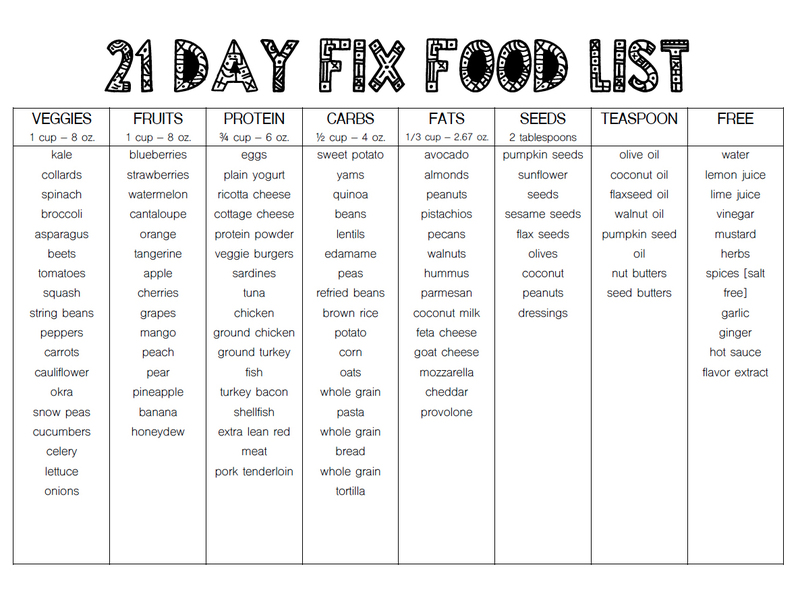 It’s called the 21-Day Fix! While there is an actual program that you can purchase [available here], most of the program’s details are all over the internet. So, I’m making a plan based on what I’ve been able to find through our research. 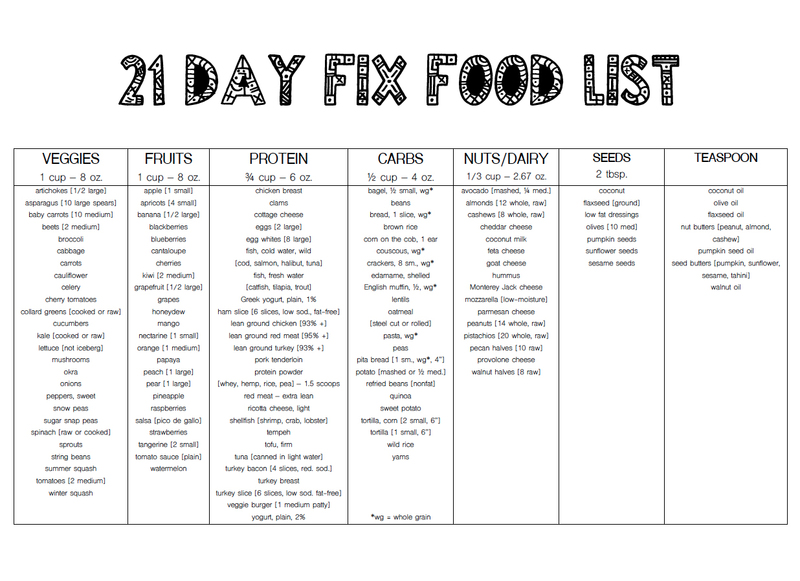 The 21-Day Fix is all about portion control and exercise and leans very well towards the lifestyle changes I’ve already made so far this year. Last year, I lost a TON of weight through portion control and simply allowed my own cravings and desires to completely sabotage all of the hard work I’d done…not this time. I have a partner, we have a goal, and we are going to come out on top! So, here’s how it works. STEP ONE: Figure out your caloric level with the formulas below. STEP FOUR: Consume ONLY the aforementioned portions each day for 21 days. You must also engage in some sort of physical activity for a minimum of 30 minutes EACH day. Again, the program lists specifics you should consider for exercise that you can find through a little research. I plan on mixing up some high intensity training, cross fit, and running. We’ll see how it goes! Obviously, as far as the proteins go, I won’t be consuming any meat products. The other thing I love about this is that it helps keep me on track with not eating foods that have added chemicals, preservatives, or colors. You can complete as many “fixes” as you want. Just make sure to complete the calculation for calories after each cycle. 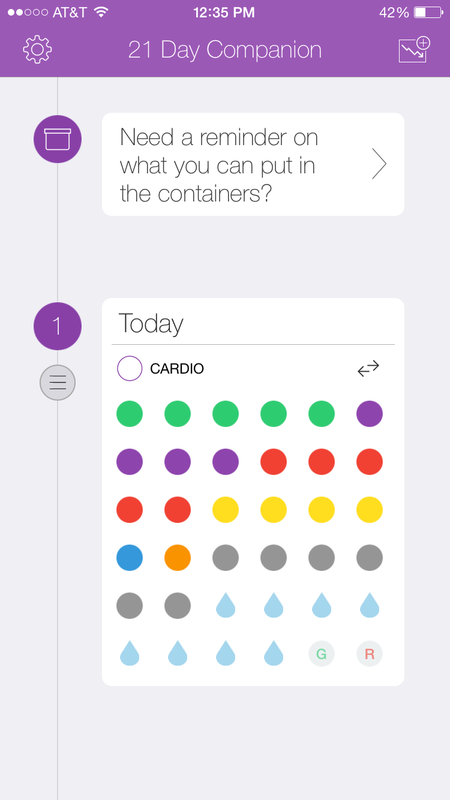 If you’re looking for a GREAT APP to track your portions, I highly recommend 21 Day Companion. It allows you to color code your containers according to the program or you can choose your own colors as well. It also includes a weight tracker AND the list of approved foods! I also really LOVE the Wholesome app for when you get tired of the same food. 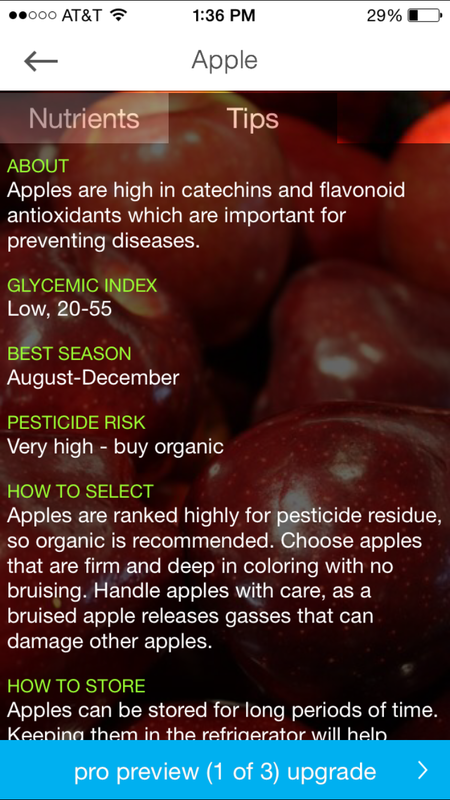 Wholesome is a FREE app which allows you to basically have a “nutrionist in your pocket.” The app tells you nutritional info for just about every “whole food” you can think of; it also provides tips on how to prepare different foods, how to store them, their best season and lots of other cool info. 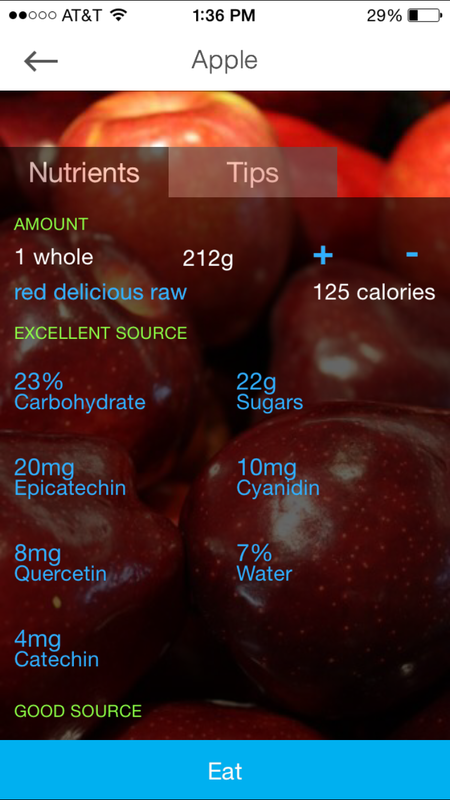 Furthermore, Wholesome allows you to track your nutritional intake and offers suggestions for nutrients you are low on or missing completely. See below for some screen shots from the apps and be sure to visit the sites for more info! I’ll post again after my first 21 days to let you all know how it goes!